Who are the DINKY target market segment? Having children is no longer a social obligation today but a personal decision that everyone can take. 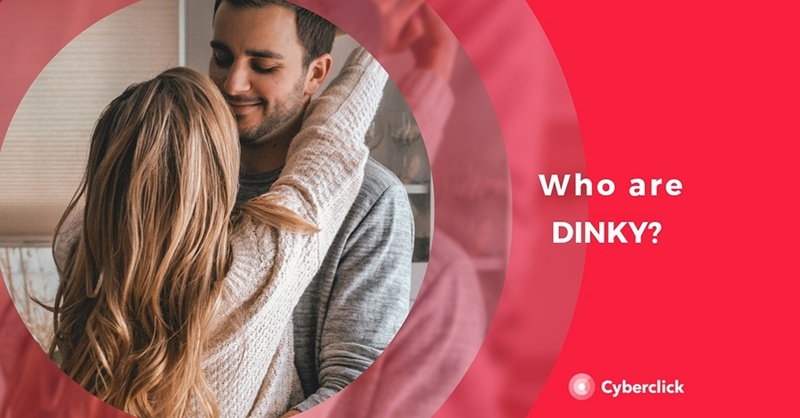 The term DINKY stands for Double Income No Kids Yet and includes the target market segment of people who are married or who live as a pair in a 2-person household in which both work full-time and have no children. DINKY consumers no longer aspire necessarily to form a family and social changes have allowed the emergence of many new types of households (and of families). Double income and no obligations for children - this target market segment has a focus on self actualization! Vacation, luxury and good food are the common reward for their professional ambition and success. The DINKY target market segment not only has large sums of disposable income, but is a growing segment as more and more people decide to live in pairs and decide not to have children. Today, we find consumer segments marked by factors that have to do with their personal, economic, political, social and technological context, and that look for products that fit their needs, desires and tastes. This requires brands to pay greater attention and have deeper customer knowledge, yet many are still trapped in strategies with old segmentations. DINKY consumers have a greater purchasing power than the consumers of traditional families. The logical reasoning behind this - by eliminating children from the equation, their disposable income increases. The DINKY market has a larger percentage of their budget to allocate towards leisure, entertainment or the day to day purchase of products. For brands, the DINKY market segment are very attractive consumers, as they are very interested in spending and have very few limitations to do so. Capturing the DINKY market is therefore a lucrative marketing pursuit. In terms of engagement and marketing strategies, firms cannot expect this unique market segment to react on a standardized strategy. These consumers who have chosen other forms of life are not the historically traditional type. Non traditional consumers needs to be addressed in a non traditional way. The DINKY are largely represented in the age groups 29 to 39 years, yet the largest proportion of DINKYs find themselves between 50 to 59 year olds . The majority of the DINKY target market segment is married and lives together with their partner in one household. According to the "Allensbacher Market analysis 2017" study, around 67 percent of DINKYs largest aspirations include happy partnerships and career success. The DINKY market is particularly interested in the subject of vocational training. Additionally this target segment is known to be travelling more than others in their free time. About a quarter of DINKYs are out and about busy travelling a large proportion of their working time. Generally, travel has a high value among DINKYs: for about 46 percent of DINKYs, it is important to get to know other cultures and countries and almost all have an interest in information on vacation and travel. Three quarters of DINKYs have taken at least one vacation trip in the last 12 months. When it comes to travel, DINKYs are known to go all out- around 65 percent of the entire DINKY market segment’s expenditure on travel is ranked ‘high’. Mobile first. Life is increasingly mobile, and computers will gradually no longer be the reference for accessing online applications and services. Almost half of this market segment receive their information on the Internet when they are on the go, and around 37 percent of DINKYs prefer to send text messages or messages via WhatsApp rather than make phone calls. Thus, mobile marketing has great potential as advertising mediums. Going mobile has the advantage that the mobile advertising space is not yet quiet as saturated and has been seeing great innovations. Online customer support. Customer support is one of the best known terms of the marketing world for good reason; it’s one of the most important drivers for successful sales. The DINKY segment is known for their online behavior as online shopping customers. DINKYs use the Internet to evaluate products and services, to exchange information with others about products or even for online shopping. About 18.5 percent of DINKYs shop online several times a month and a full 40.2 percent of them shop online several times a year. Having excellent online customer reviews and all round customer relationship management is essential when targeting the DINKY market segment. Branding through content. The most effective marketing strategy to attract this group is through getting to the ‘opinion shapers’. For DINKYs, bloggers and forums are their go-to decentralized and authentic source of information. Hence, the importance of getting a good name out there among the ‘opinion shapers’ cannot be emphasized enough. Create content that’s highly relevant to the segment and easily shareable in social networks to spread a positive image of your brand and create awareness. In addition, DINKYs are known for being up to date with their emails. Make sure your email marketing strategy is ready to target this group with relevant and specific content. The DINKY market is an important segment to lookout for. There are more and more couples who discard the option of having children and turn their focus on career fulfillment and on self actualization through the many other pleasures of life. Make sure your brand is top of mind when DINKYs are ready for their purchase decisions.